Having spent four years at university in Scotland, I have made it a point to shun the greasy, unhealthy Scottish cuisine. But there is one dish I have fallen in love with (and not least because of its wonderfully strange name): Cullen Skink. 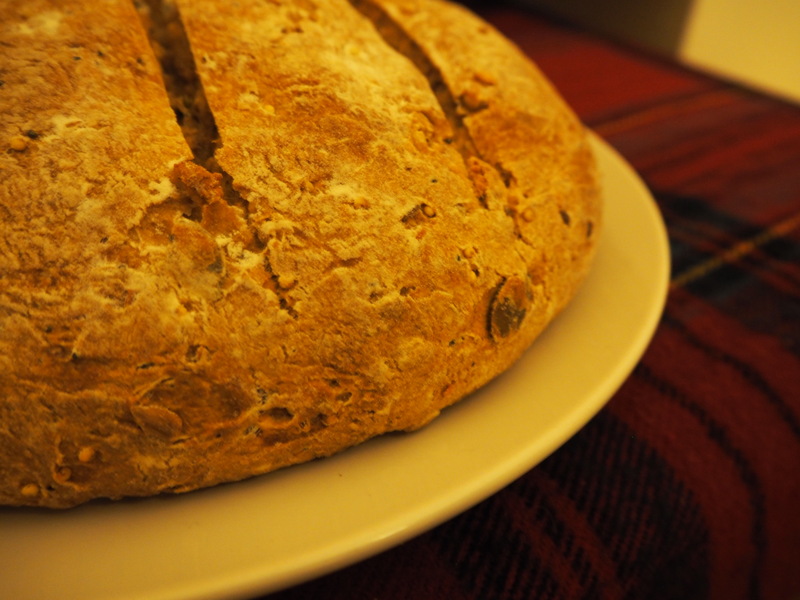 It is a rich, warming soup that I first tasted on a dark Burns night, accompanied by haggis and poetry. This recipe was given to me by the same friend who made it for me that night, and I have cooked it 2-3 times since then, most recently this Bank Holiday weekend when he was visiting. I will not disillusion you by saying it’s a quick meal – it takes around 1.5 hours to make (mostly due to the prolonged frying of the vegetables), but it is quite a simple process and completely worth it! Meanwhile, boil the potatoes in salted water until tender. 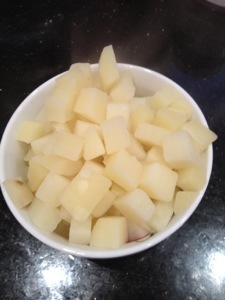 Remove 2/3 of the potatoes and keep aside, and cook the remaining 1/3 for another 5 minutes. Remove these from the pan and mash into a puree (adding around 100ml of milk). Once you have prepared the vegetables, heat milk in a shallow pan (enough quantity to just cover the fish) until it has reached about 80 degrees Celsius. DO NOT LET IT BOIL. Add in the haddock fillets and poach for 2 minutes on each side. Then, remove the fish from the milk and break into large chunks. Keep aside on a plate. Let the milk cool slightly. 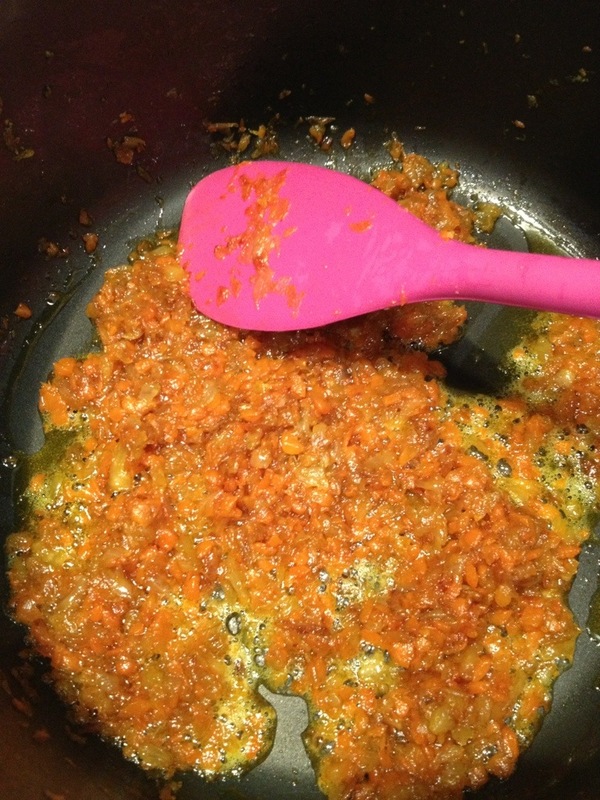 Add the milk into the onion-carrot mix and heat until about 80-90 degrees. Again, DO NOT LET IT BOIL. Add the mashed potato into the milk-veg mix and bring up to heat. 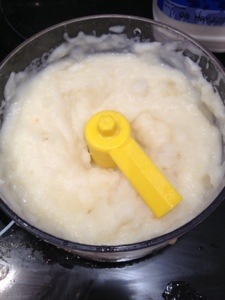 Then add the cream and the potato cubes. Bring up to heat but don’t let it boil. Taste and season it at this point.Just a few minutes before serving add the fish and let it warm up but not overcook. Serve immediately with parsley, bread and Scottish music!